After Christmas, I hate putting away all of the holiday decor. It's only out for such a short time, it seems like such a shame to pack it all up! So, to cheer myself up, I like to transition to winter decor. Winter around here usually lasts til the end of March with a few good big snows, so I like to keep out anything rustic, white, and snowy. 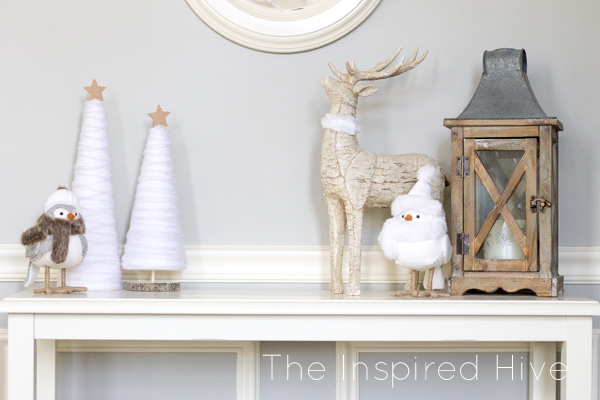 After Christmas every year, I keep an eye out for clearance Christmas decor that can be repurposed for winter or for decor that inspires me to create some of my own. 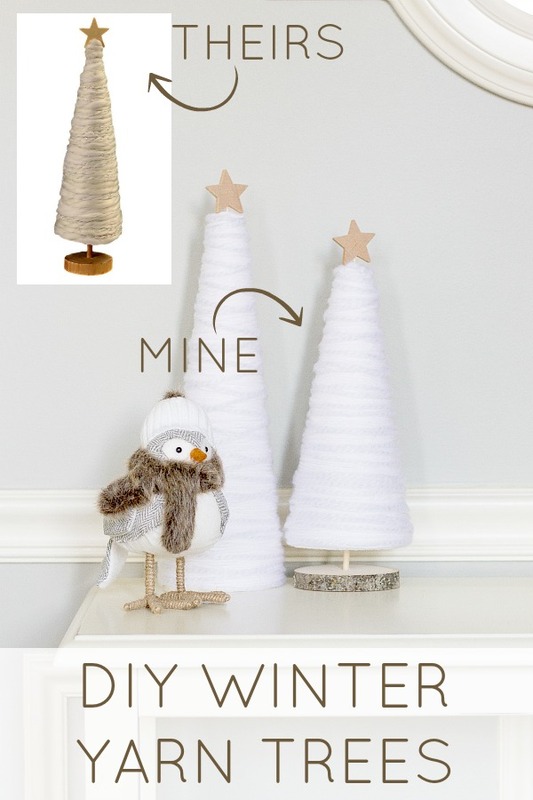 This past season, I kept seeing these cute white and sparkly yarn trees at Target from their Wondershop collection. I was hoping to snag them when they went on clearance at the end of the season, but they quickly sold out, even online! 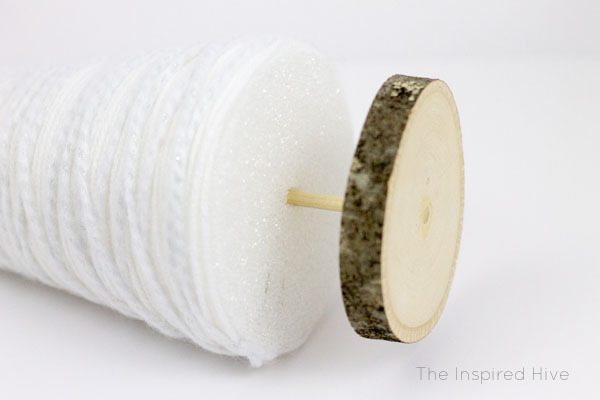 Thankfully, I had made some yarn trees before, so I knew it would be easy to do myself and decided to make my own knock off version. I actually have made a couple of yarn trees in the past (these Valentine's day trees and St. Patrick's day trees), so I actually ended up repurposing some of those. So these first few photos are from an old tutorial. I started with a styrofoam cone. You can find these in the floral section at your local craft store or order them online. 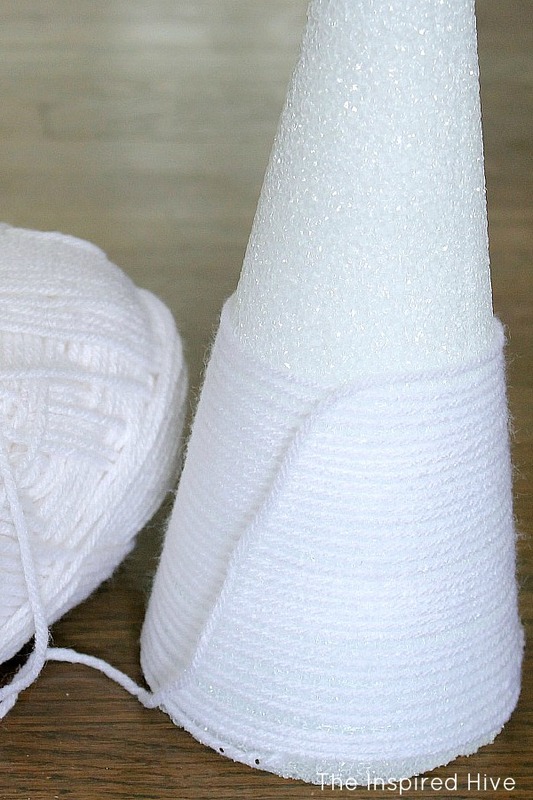 I used straight pins to attach some white yarn to the bottom of the cone. 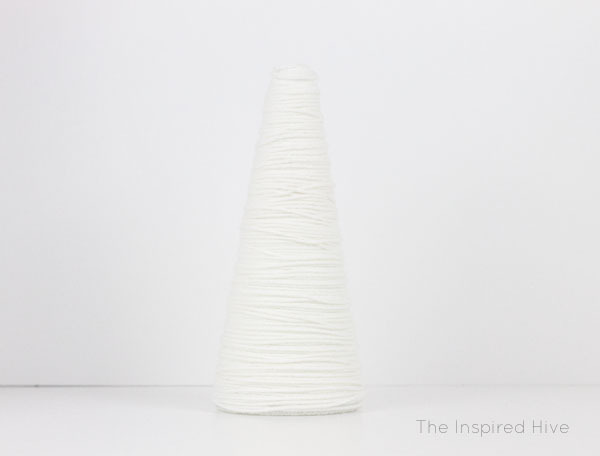 Then, I wrapped the yarn all the way up the cone. You can adjust it as you go to keep everything lined up. I found it easier to keep the first layer even, and then go for the messy look on the following layers. Once I got to the top, I started going back down in a less organized fashion. No need to be perfect here! 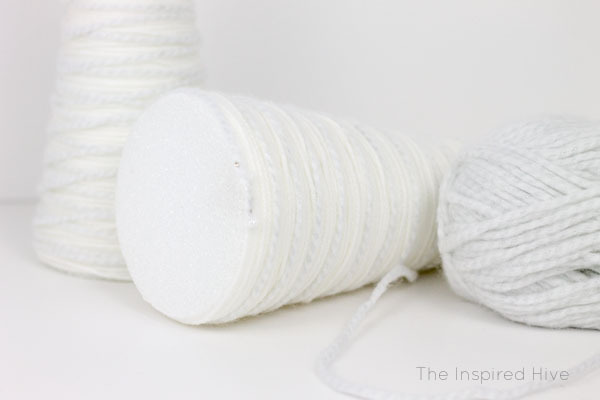 After you're done wrapping, insert pins at the bottom again and cut off the excess yarn. 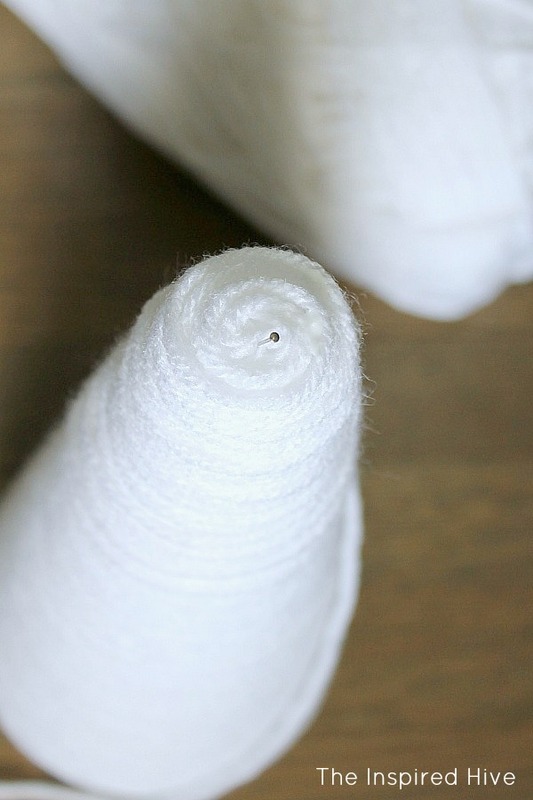 At the top of the cone, insert a pin or two to keep it from unraveling. I also used a bit of white Elmer's glue to help keep it positioned correctly on top. 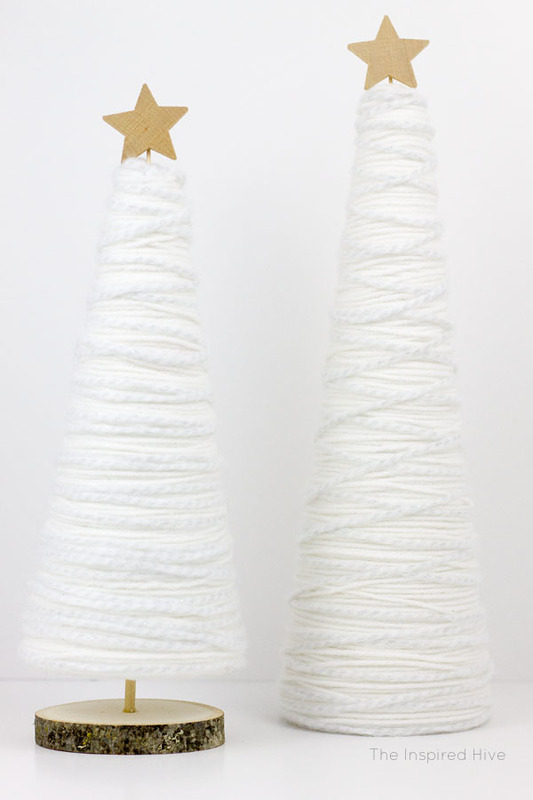 Now, to get the look of the Target trees that I was inspired by, I found some white and silver twisted yarn (theirs are white and gold braided yarn) and followed the same process, pinning at the bottom, wrapping up and down the tree, and pinning again. Tah dah! The main part of the tree is complete! Quick and easy! 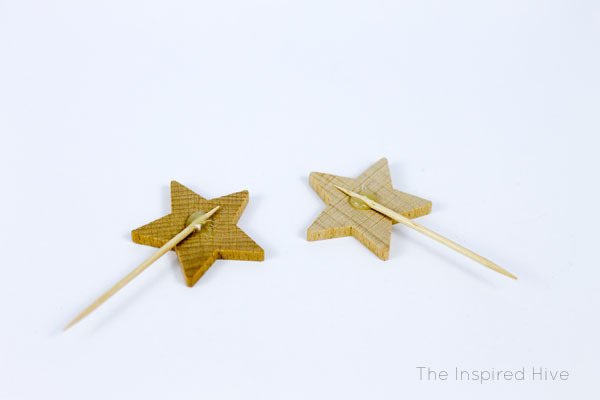 Next, I used some wooden star cut outs that I found on the wood craft aisle in my craft store. I attached tooth picks to the backs of them with my hot glue gun. 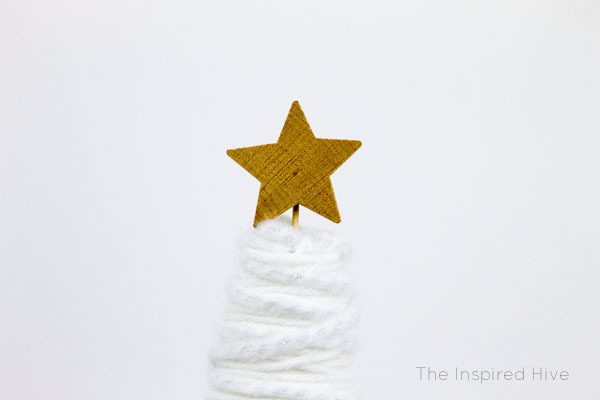 Then, I inserted the stars into the top of the tree. 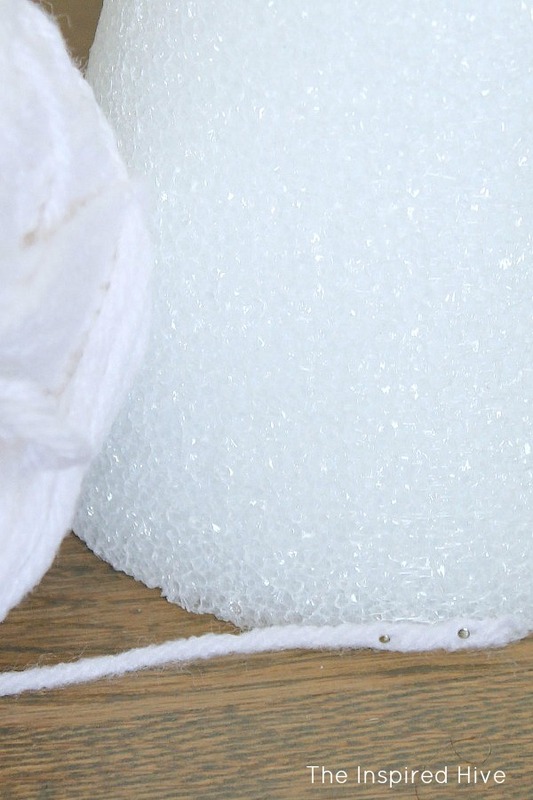 The styrofoam will help hold them in place. To create the base, I broke a dowel rod down to about 4-5 inches (you can cut with a hand saw if you can't break it with your hands.. please be careful of splinters!). 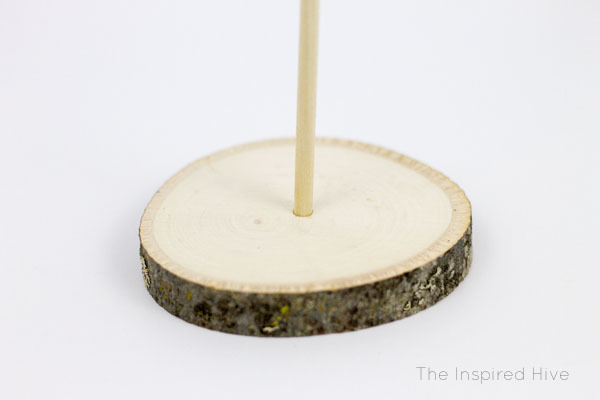 I drilled a hole into a wood slice using a drill and a bit the same width as the dowel rod. I put a small amount of glue into the hole before inserting the dowel rod to make it a little more secure (after watching my tree fall over a few times before I decided to try glue! Oopsy!). 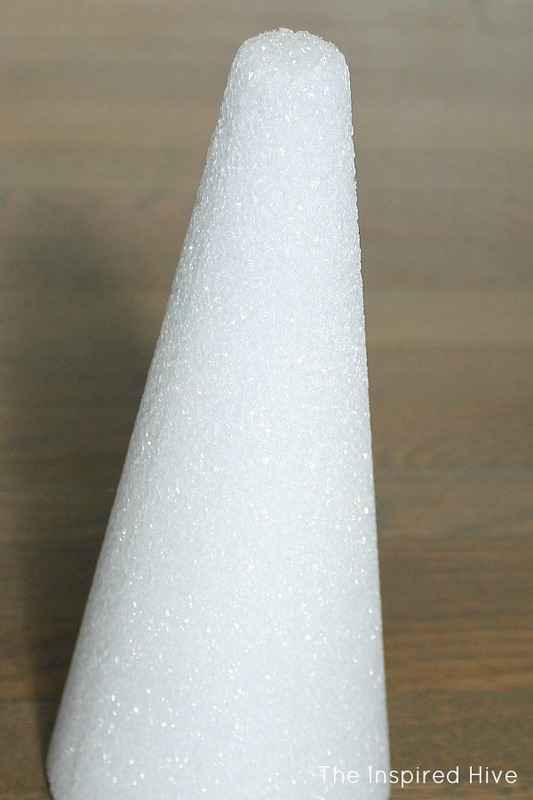 Then, I pushed the dowel rod into the center of the bottom of the styrofoam cone. This is easier if you have a sharp point from breaking the dowel rod, but if yours is flat, use a screw driver or similar object to poke a hole in the styrofoam first. That's it. 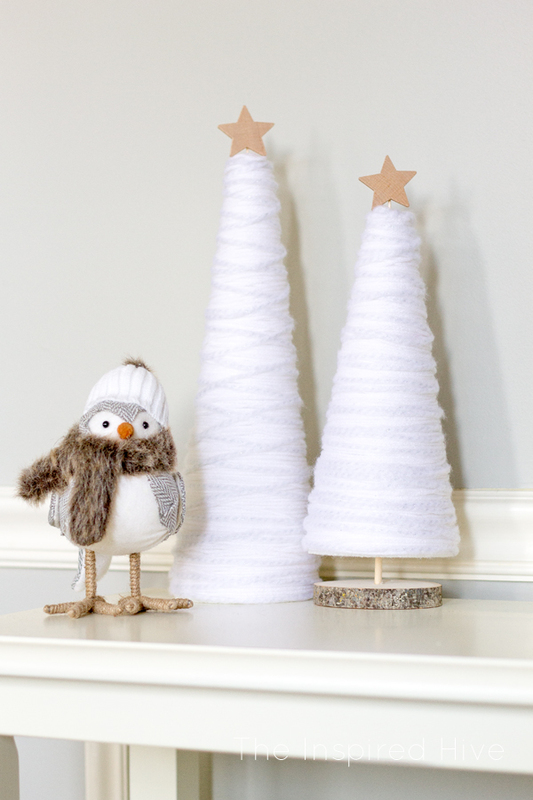 Creating my own version of these winter yarn trees was quick, easy, and affordable. What do you think? Have you tried creating any knock off decor before? I am in love with these trees. Thank u for sharing how to create them. Also would love to know where u bought your little sweet friend(bird).